How Much Time Does It Take to Teach Spanish Community Service Learning? We have precise expectations about how much time Spanish community service learning students spend outside the classroom, but what about the time spent by those teaching the course? Recently, an interesting question came up about how much work it is (or isn't) for graduate teaching assistants to teach a Spanish community service learning course. 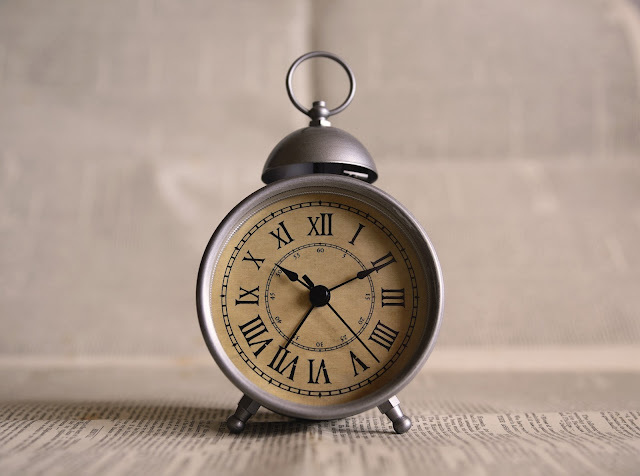 Here's some background on the concept of "time" in my Spanish in the Community course. Students must work 28 hours in the community during the course of the semester. What about the person teaching the course? At first glance it seems as if you work less than others because you only teach two hours a week instead of three. As the course coordinator, there's no question that I spend that "extra hour" setting up the community partnerships, maintaining those partnerships, responding to just-in-time requests for student volunteers, solving student problems with their community partner, helping lagging students find extra hours, etc. If you've put together one of these courses or taught one, you know what I mean! But recently the question came up about graduate teaching assistants' time. One thing is for sure, if our baseline is traditionally-taught, classroom-based course, then we will always have problems conceiving of workload equivalencies with experiential learning courses. I think it would be a good idea to have feedback about the teaching load from the TAs who have taught SPAN 232. It's always best to go to the source. I can speculate about how they spend their time, but they know. What is the "extra" work for TAs in Spanish community service learning courses? To a lesser extent, learning accurate and complete information about state and federal immigration polices. Again, these are actually rarely known by TAS, but it is easier to find out about them through research. At the beginning of the semester, corralling all their students through the process of choosing and signing up for a community partner, which can be surprisingly time-consuming especially for students who fall behind or want a "different" experience. Throughout the semester but especially toward the end, working closely with students whose placement is not working out or do not have their necessary hours and who need extra opportunities that must be arranged with community partners. Many campuses have a central CSL office that handles the push and pull of placing students with community partners and following up on those. My campus does not. If the goal is to ask TAs to do more work in "Spanish in the Community" in order to even out the workloads among courses, I would suggest requiring a few more hours on TAs' part of direct participation in the community. That would give them a richer understanding of the community and of the students' experiences. I would not want to add more work for students in order to provide more work for TAs. In sum, there are some semesters in which everything goes smoothly and the workload is pretty accurately reflected by the syllabus. But there are always semesters in which you have to do a lot of work because students have trouble beginning their work in the community, surprise events happen in the community (e.g., raids, election of an anti-immigrant President! ), you need to field requests from community partners for extra volunteer events, or students realize they are behind on their hours (argh). What are your thoughts about the time required of TAs, instructors, course coordinators, students and community partners in a Spanish community service learning course?